8 Lunch box suggestions & WIN a lunch box kit with SMASH!  I always think that there seem to be two camps of parent: the highly organised, but everything for the next term at the end of last term parents and… me. Get fitted for shoes at 4.42pm the day before we return to school under some misguided impression that “they would grow too much if I did it at the beginning of summer” and then promising myself I will order one of those measuring things for home and take advantage of my online shopping expertise. Something I didn’t expect to get so organised for is lunch boxes. When Smash! got in touch and asked me if we would like a few of their lunch boxes and awesome, environmentally friendly sandwich and snack boxes, I jumped at the chance. 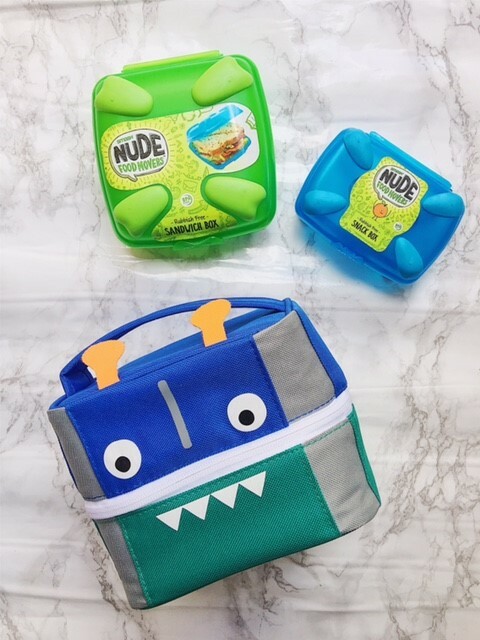 I thought we would be well in for summer, picnics (yep, the rain saw that off) and days out at the beach… but I didn’t really think about lunch boxes and things for school. Up until now, Reuben and Toby have both been in the same class and entitled to free school meals. That is what they have always taken, and though they are still entitled, Reuben is now in the next class and there will be a good portion of his friend’s who aren’t entitled to free school meals anymore and will be taking pack ups. Knowing Roo the way I do, it’s only a matter of time before he starts asking me for a pack up to have sandwiches and the like with his friends. On the flip side, little miss picky pants has a pick up every Thursday/Friday when she goes to preschool. I usually use a little plastic pot and stick it in a lunchbox with everything crammed inside but if she has anything other than a sandwich, like cold pasta, it leaks. This term, I’m going to be using her snacks pot to try and send her with more fruit based options, and a sandwich box to keep her sandwich fresh. Want a few ideas for pack ups? Sure! Salami, pepperonis, ham, different cheeses and tomatoes (a favourite with Toby this one) all with some bruschetta style bread. You can go wild with this one – pasta with ham and cheese, tomatoes, avocado, egg, bacon, broccoli and prawns… whatever! We have some fab sandwich cutters so it literally trims the crusts off and the kids think they are fab. We got ours here but you can buy them anywhere. Might sound like a dessert but actually fruit salads can be really filling, you could do a fruit salad and something like bread slices to pack the carb punch. Yep, these can be cooked and left to go cold (in fact, they are insanely good cold) and then plonked in the lunch box with some crudettes and dips! These are cheesy rice balls and they are SO good! Easy to make with leftover rice and perfect for dipping in tomato salsa. Edith really loves this – I fill her’s with ham and cheese but you can use chicken, sweetcorn and peppers, pepperoni, just cheese, veggies… anything really! Now for the fun part, a giveaway!! 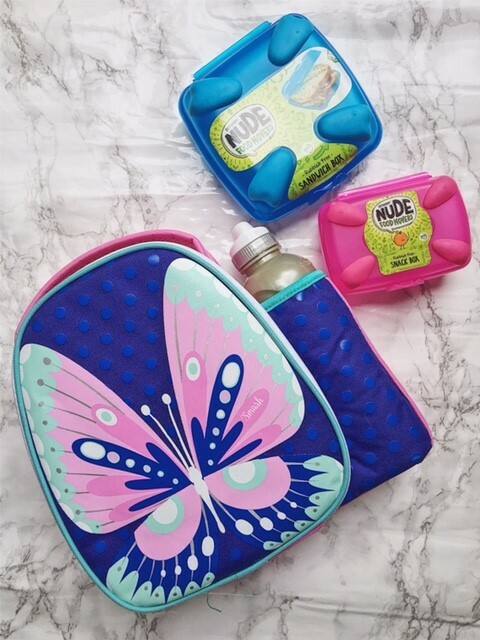 I’m giving 2 lucky readers the chance to win a choice of their “pack up kit” which includes one of these lovely lunch box insulated bags with drinks bottle, a snack pot AND a sandwich pot. Just enter below! Year 2 SATs – just why? Previous Post A drunken letter to my daughter :: 7 pieces of advice I wouldn’t give you sober. i like the butterfly one, think my daughter would too. I like the third one the most, the monster/robot. I love the dinosaur one! I like the dinosaur bag. My little monster would love the dinosaur one! The butterfly – my daughter would love it too! I love the butterfly bag. I adore the butterfly one! I like all of them, my little boy had a Smash lunchbox last year, great value and they last!!! I like the butterfly one best, my little girls turn to start school in Sept! I too like the dinosaur. My niece would love it. The butterfly bag is beautiful. The butterfly one is my favourite. My daughter loves girly things so we would go for the butterfly. I like the Butterfly one best, but they are all fun. Love the Butterfly. Love to win for my daughter. The butterfly bag is lovely, I’d use it! I like the monster one. I like the butterfly one. These are really cute! I know my daughter would love the butterfly bag, so pretty. The Smash insulated bag bag bottle looks great. I love the monster lunch bag. Love the butterfly one. My little girls going packed lunches for the first time in September, I’m so excited to get creative with them. I love the butterfly bundle for my daughter ? The psychedelic dinosaur would be very popular here! I love the Dino pack! Really fun and also really practical. So hard to find good, easy to clean lunchbox bits. They are all fabulous but the dinosaur one is brilliant. The butterfly bag is my favorite. My daughter Heidi would love it. I like the dinosaur bag best. 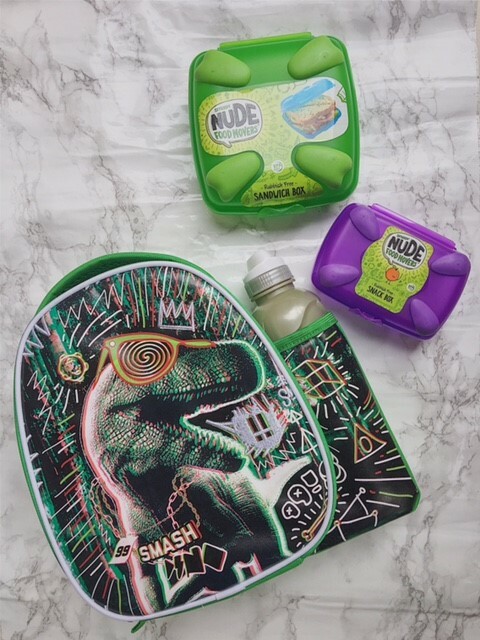 The dinosaur bag is great. What fun they all are. We like dinosaurs in our house so that is the favourite. I love the little monster bag, perfect for nursery. I love the butterfly bag thank you! The Butterfly bag, as it is Beautiful! I like the Pack Ups Dinosaur one! Ahh thanks Richard! I’ve edited it – these are super fun for tinkers and school age kids. E loves em!